Today’s episode is sponsored by Audible. Get your free Audible Trial here. Hello friend. Today we are discussing morning time. I know that picture that you have in your head. Everyone’s up, the beds are made, the breakfast dishes are already rinsed and in the dishwasher. The children are excited to start their homeschool day, and you just topped off your coffee. 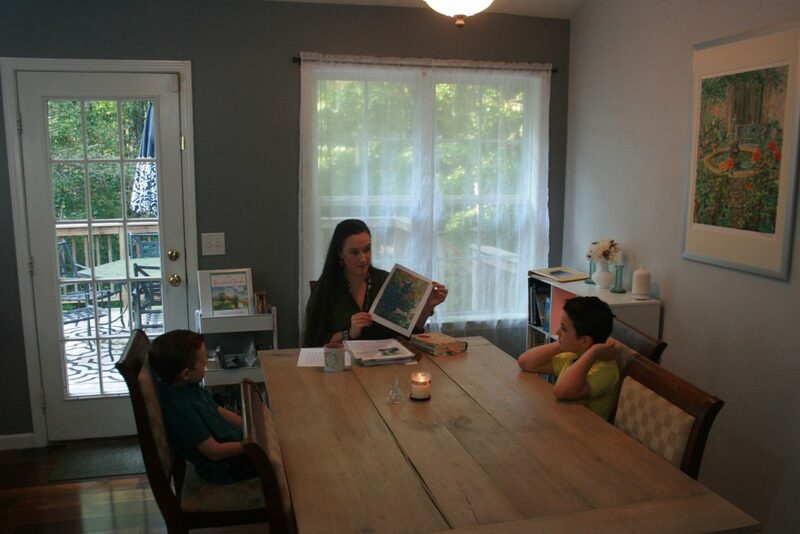 The gleeful giggles warm your heart as you dive into a perfect homeschool day. We don’t generally have days that start like that either. Honestly, I’m not a morning person at all. My darling boys are well aware that mommy can’t talk coherently until after a large cup of coffee. Thank you Keurig for always being there for me, I digress. But over time, Miss Charlotte Mason has endeared to me the quiet restful gentle art of learning. 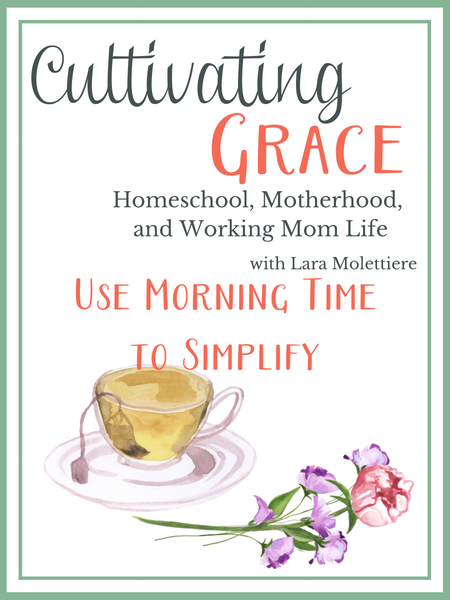 And while we stiff have kerfuffles some days, all together morning time has centered and grounded our homeschool in ways that I never could have imagined. When we come together in the morning, we have our lavender Mrs. Meyers candle that we light, and our crystal bell that we ring, and it took a while, but now it’s sort of a Pavlovian response that when the boys hear that they know they have to settle down. At least a little. We settle in to study the beautiful parts of the feast. Our morning time this year comes from The Homeschool Garden. You can learn more about that here, but we use poetry, and artist study, and composer study, and listen to the music — everything fits neatly in an easy to use morning time schedule and even includes tea times and handicrafts. We also have copywork that we do during morning time, and we work on scripture memorization during morning time. We do our history lessons together, and we do our science studies together, and we are able to incorporate all these pieces and parts, because we have a scheduled time together. While it is a wonderful thing for the boys to have all that, it’s even more wonderful for me, because that means the subjects that we can do together like art appreciation and music appreciation — everything is there in that neat little package, and we get it done and move on with our homeschool day. Morning time shortens the length of time that we have our homeschool day. It’s made it much more doable to include all the extras and all of the pieces and parts that are so easy to push aside. Morning time allows you to cultivate a love of truth and goodness and beauty in your students. It helps the cultivate those same properties in your home, and it allows you to shorten your day and get everybody started on a good track. Even if everybody does their own thing in the morning, and you don’t have your morning time until after lunch or even after dinner, it is a valuable thing to have together time. In fact, we know some people that really like to be up late at night so they do a lot of their school studies between 5:00 and 10:00. If that’s what works for your family, then by all means do that, but that together time also builds relationships. Studying these subjects together helps your family build bonds that will last through so much more than just their homeschool journey. Enjoy your time together with your family! 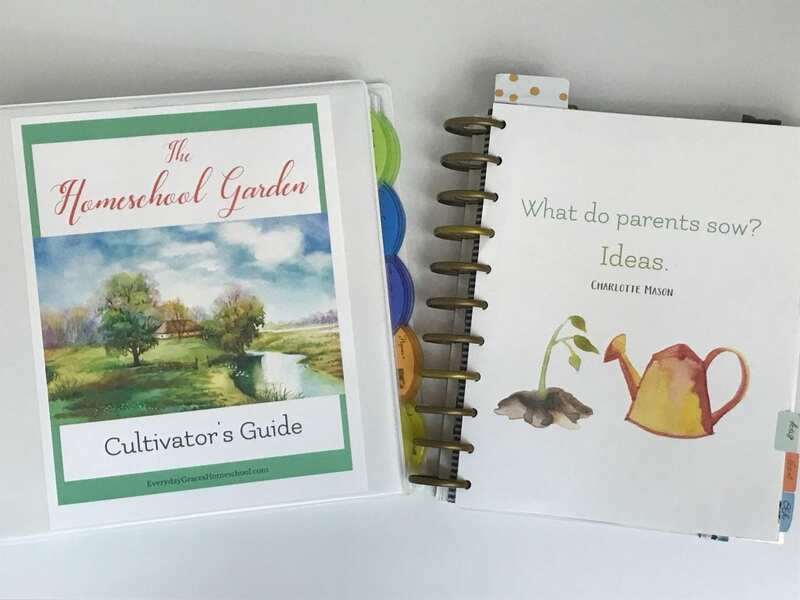 Morning time plans from The Homeschool Garden are our favorite resource, if we do say so ourselves. Having a homeschool morning routine has been such a blessing for our family! These are additional resources that are making our morning time a phenomenal experience this year.